Meet Allison…our Customer of the week! Allison came in looking for a something different, and boy did we find it. She and the Design Maven knew this was the one. Allison put it on and practically started glowing! 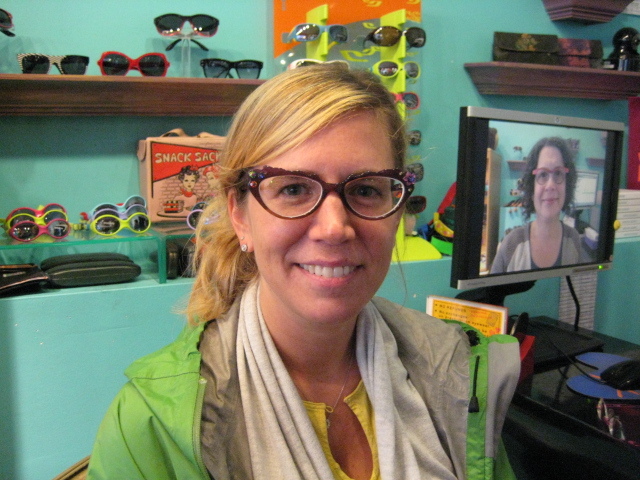 She was on a hunt for either a purple or a tortoise frame; They managed to find the best of both worlds, as this frame starts out purple and fades to tortoise! Allison you are a total beauty in this frame, and in general. If we were in the E/R and you were our doc, it would make our day having you show up at our bedside wearing this frame! Thanks for being our Customer of the Week!!! Here’s a close up shot of Allison’s lovely frame!!! !